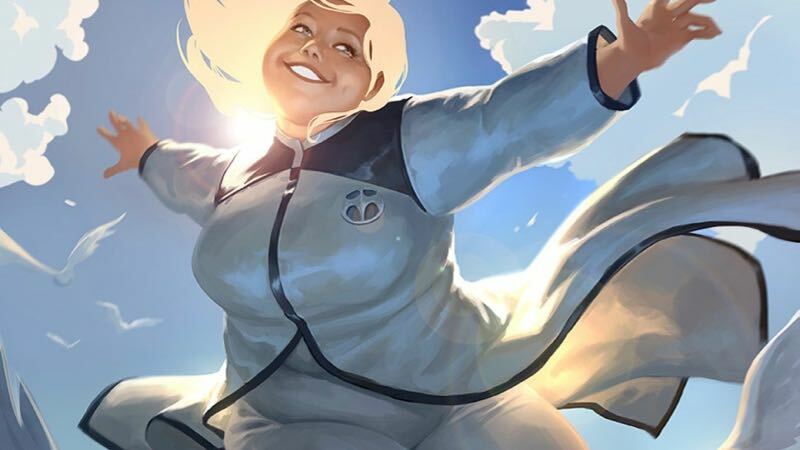 Deadline reports that Sony Pictures is digging even more into their deal with Valiant Entertainment and is developing a live-action feature film based on the character Faith. The character, a fan favorite from the Valiant Universe, was first introduced in Harbinger #1 back in 1992 but now leads her own solo comic book series. Faith’s abilities are primarily flight but she can also create psychic bubbles to carry others around her while flying. Toby Jaffe and Neal Moritz of Original Film banner with Dan Mintz of DMG Entertainment. American Gods and Counterpart writer Maria Melnik has been tapped to write the screenplay for the adaptation. Sony’s other Valiant Entertainment plans include the soon-to-be-filming Bloodshot, starring Vin Diesel as the title hero with Dave Wilson directing from a script by Academy Award nominated writer Eric Heisserer (Arrival, The Thing). In addition, the studio is developing Harbinger with Heisserer which centers on a group of teenagers with varying superpowers and the Harbinger Foundation that hunts them down, hoping to use them for world control. It was previously said that the two properties would later crossover on the big screen with Harbinger War, based on the 2013 crossover comic, and though it remains to be seen if those plans remain in effect the addition of the Faith character would add another pillar of the Valiant Universe to that crossover.